Welcome on miniYOTAstore. 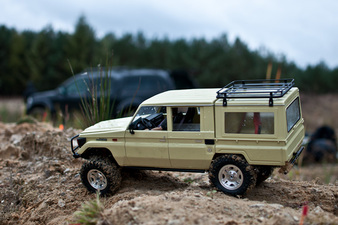 Welcome all TOYOTA mud and rock lovers in mini 1 to 10th scale. What we have here is a passion converted into a form. 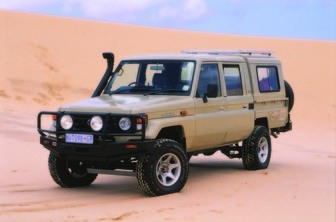 Main idea of what I'm doing here is rescaling iconic TOYOTA off-road vehicle, good versatile Land Cruiser 70 series. 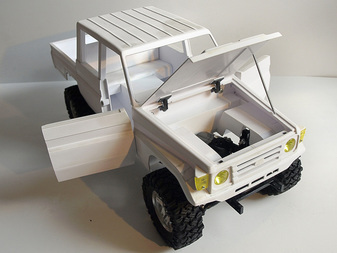 If You wish to have one of Your own mini Toyota, but You have no time or skill to create one of these, You are in the right place. Price is calculated individually, based on how complicated the project will be, and how many accessories You would like to have. Under a word "rescaling" I mean real rescaling process. There's not only a body rescaling and things that You can see from the out side, but all car "skeleton". 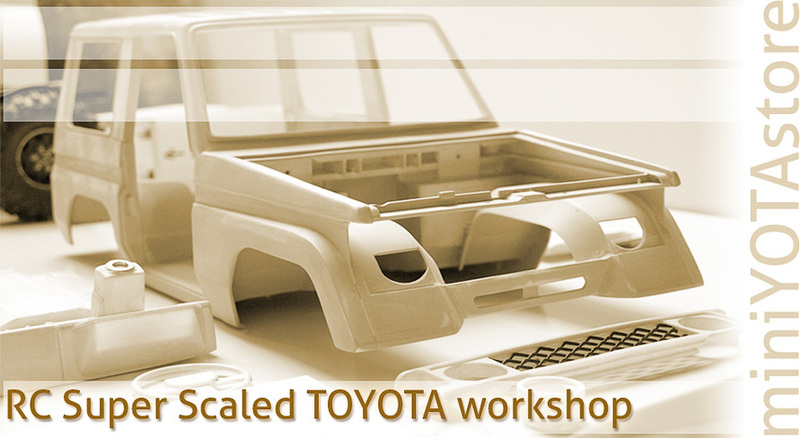 Image show the chassis of Toyota LandCruser DoubleCab in 1:10 scale. Power came from frontal placed electric engine to gear box then its split to front and rear axle, just like in real. 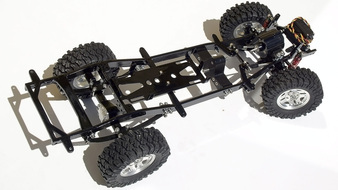 Suspension front on spring rear on leaf spring, just like in real. Chassis aluminum frame, CAD projected and CNC, welded in to 3D frame... , just like in real!!! Body formed from sheet of HIPS plastic. Every piece has been drown individually and again cut with a little help of CNC technology, assembled together. What You can't find here? So what You can get instead? Feel free to contact me now !! !